Last week, the National Security Agency (NSA) announced it was ending a surveillance practice known as “about collection.” It’s one piece of a larger puzzle called “Section 702,” the legal authority behind some of the programs first revealed to the public in the Snowden leaks of 2013. While “about collection” is focused on surveillance of foreign communications, Americans’ data are routinely swept up in the process. The data can be queried by the FBI and local law enforcement for domestic purposes, as we discussed in a previous episode. Does the NSA’s announcement indicate that the intelligence agency is cleaning up it's act? Is our government capable of self regulation and oversight? What's the NSA’s motivation here? 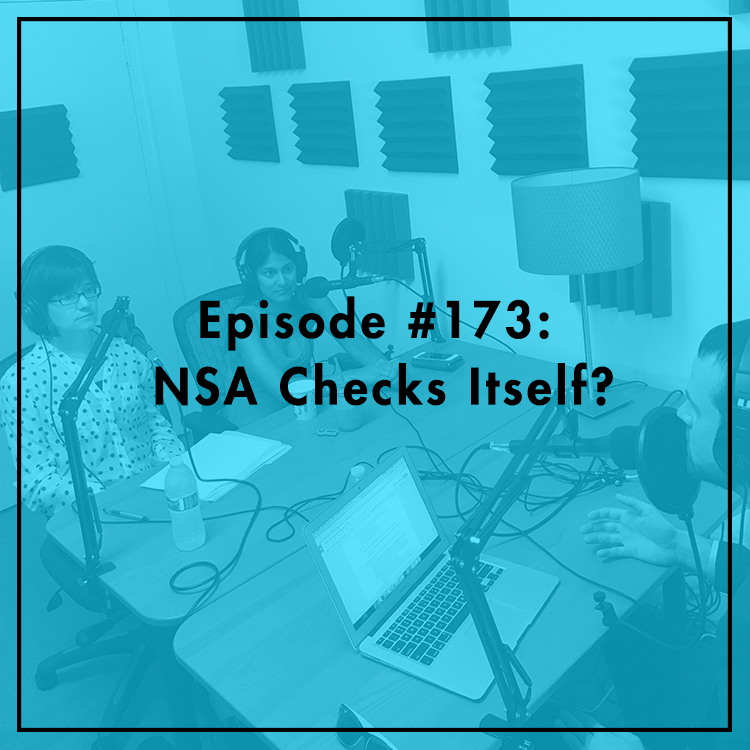 Evan discusses with friends of the show Neema Guliani, legislative counsel at the American Civil Liberties Union in DC, and Liza Goitein, co-director of the Brennan Center for Justice's Liberty and National Security Program.